A poll for yesterday’s Scottish Times shows encouraging signs of a Labour recovery in Scotland. Although the Times (and other Scottish news media) lead on the poll’s findings in respect of independence and devolution (anti-independence, pro-devo-max which was also the most popular in a 3-way choice), the poll’s findings on Westminster voting intentions are rather more spectacular. They indicate that Labour’s support is back up to the level it received in the 2010 General election which was itself (unlike in England) a slight improvement in votes if not seats on 2005. If a general election were held tomorrow, Labour could still do worse than in 2010 because, although the Tories and Labour each have the same level of support, the SNP have gained 10% from the Lib Dems who have lost 12%. However, this is still the best Westminster poll showing for Labour since last year’s disastrous Scottish Parliament elections. In those elections, the SNP ate heavily into Labour’s core vote and into its heartlands. Since then the SNP have continued to show improvements not only on polling about Holyrood elections (in which both Labour and the Tories have historically lost out to the SNP as well as, for regional seats, to minor parties) but also about Westminster elections. It was beginning to look like Labour faced a loss of its Scottish representation at Westinster whether or not Scotland voted for independence! Of course, this is just one poll, and there is in any case more to be done. But it’s hard not to be impressed. Labour’s gain of 7% against the previous month’s poll (from 35% to 42%) for Westminster seats largely at the SNP’s expense is the outstanding feature, but the poll also shows an improvement of 4% (from 32% to 36%) for Holyrood constituencies, also at the SNP’s expense. As to the reasons, your comments would be appreciated. 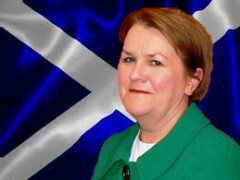 Has Johann Lamont made the difference? Has Salmond’s gloss faded and his pro-business leanings taken a toll? Posted in: British Regions/Nations, Labour, Nationalism/Unionism, Politics. The most environmentally destructive government ever? Perhaps Murdoch’s approval is turning out to be a kiss of death.